Can I be honest? I’m so thankful this week is almost finally over! There, I said it! As you can tell, I haven’t been able to do much writing or posting this week. But, this is my favorite post to write, so here it goes…. 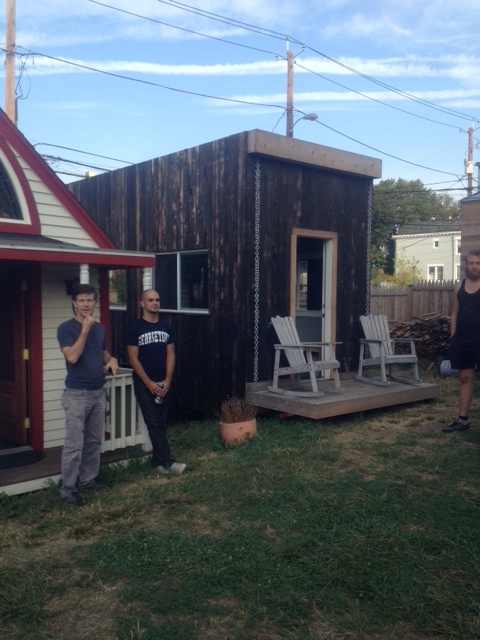 This past weekend, I was able to see some good friends in DC and to make some new acquaintances at the Four Lights Tiny House workshop. 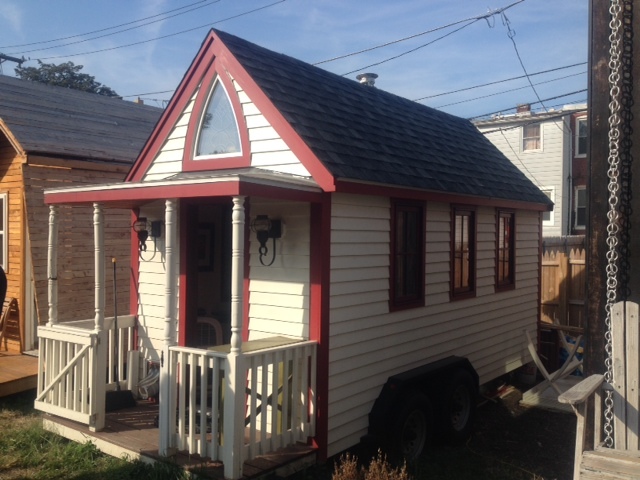 As we affectionately referred to ourselves, we are “tiny house freaks!” It was a very nice break to be around people to who, I didn’t have to explain my desire to not live in a huge space and have lots of extra crap that I don’t need. My major teaching obligation for the semester is now over. It’s not the last time I will have to teach, but it was the obligation that most stressed me. My apartment is in an old building circa 1938. 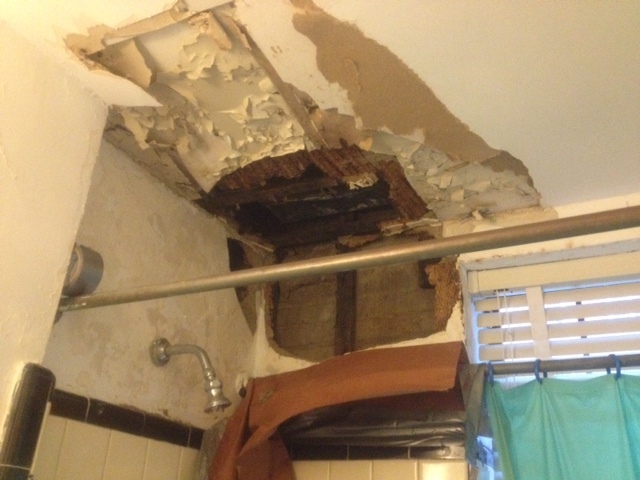 I noticed that the ceiling and connecting walls appeared to have more water damage than normal. So they have been working on it ever since I mentioned it. 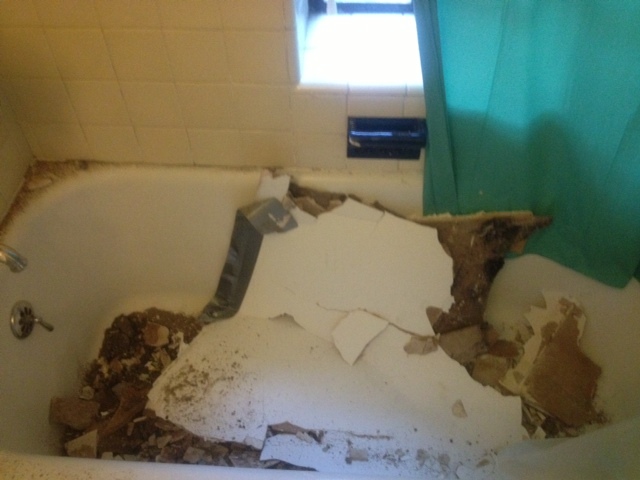 In the middle of the night last night, part of the ceiling fell down. Why am I thankful about this? I’m just glad neither myself nor any of my animals were in the shower at the time, and the girl who lives above me hasn’t fallen through either. I know as soon as I say something to them this am, they won’t hesitate to come up and check out the latest development. I actually live in a great apartment complex–they are very responsive to any requests. They also allow me to have my animals. I think it’s obvious I are good care of all of them! I started taking an online writing course this week which is led by Tammy Strobel, who writes one of my favorite blogs, Rowdy Kittens. I am hoping to improve my writing and be able to reach even more readers. I want to be able to inspire many people and help them realize they aren’t alone in this life. That there are many others of us out there just trying to attain our dreams and do the best we can in life in the interim. What are you grateful for this week? Please leave me a comment below, and I will be sure to respond! Love that your landlord allows critters . . . so many do not . . . Yes, me too. I think they know it makes the people in the building more friendly to one another. Their allowing dogs is HUGE. I also take really good care of mine, and I think they know that. So hopefully that helps.